What do we consider a successful email campaign? That depends on what you are trying to achieve. For now, let’s think about success as your recipients opening your email and clicking on whatever call to action was included: maybe a link to purchase a product or to read one of your recent blog posts. These activities (opening, clicking) are what we commonly refer to as “engagement” (download this White Paper from the DMA around email marketing engagement metrics). 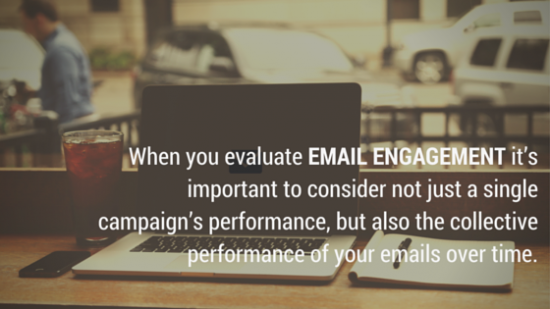 When you evaluate email engagement it’s important to consider not just a single campaign’s performance, but also the collective performance of your emails over time. 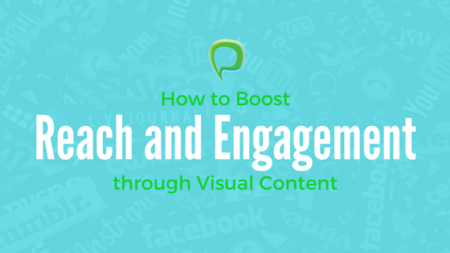 Ideally, reader engagement grows — or at least stays consistent — but that’s not always the case. If you see engagement start to wither it might be time for you to take a closer look at your list of contacts. A good email list includes only contacts that are actually interested in receiving email from your company – people who signed up or otherwise agreed to receive email communications from you. Even with this kind of “opt in” arrangement, as time wears on and your list becomes bigger you may find that some people that were originally interested just aren’t anymore – these people may unsubscribe or simply stop opening your emails. Time since last engagement. How long has it been since the contact last engaged with one of your emails? Time since contact subscribed. How long has the contact has been on your list or when did they receive their first email? Other Metric. What else might you consider to be materially considered inactive? Maybe you want set a threshold for a minimum click or open rate, or maybe you want to flag contacts who didn’t open a particular campaign. Once you’ve determined the parameters for which contacts are to be tagged as inactive, it’s time to build an “Inactive List.” This list will become a target segment for a re-engagement campaign. A Re-engagement campaign is simply a series of emails that ask the contact whether they’re still interested in receiving communications from you. Why do you need more than one campaign for this? Simply because people might miss the first one, or the second one, or even the third one; or they might not think you’re serious about re-engaging them. That’s why each subsequent campaign should have an increased sense of urgency allowing the recipient to understand that if they’re interested in continuing to receive emails then they have to engage. This tactic allows you to wipe all of the inactive contacts that truly have no interest anymore. It improves the quality of your list and allows you to move forward with campaigns that are more likely to hit their mark.